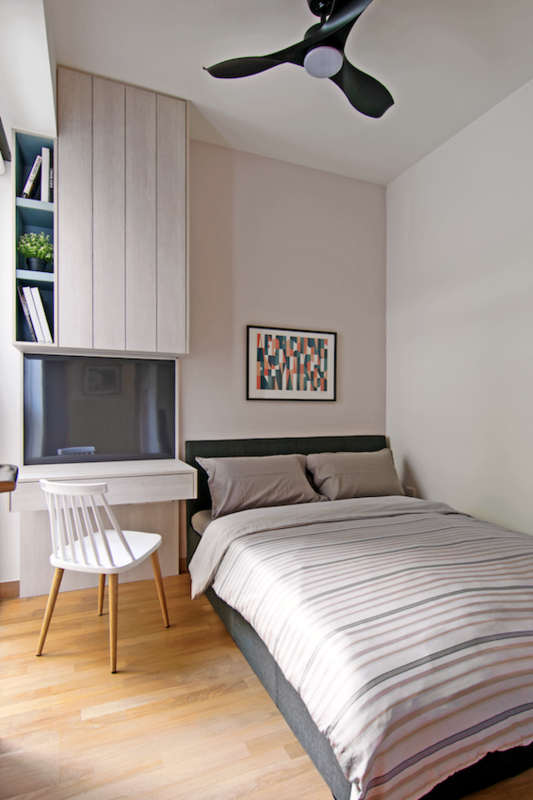 Designing a small apartment is always a playing on its "smallness" and capitalising on its challenge, and creative efforts usually zero in on ways to make the space look (or feel) bigger. 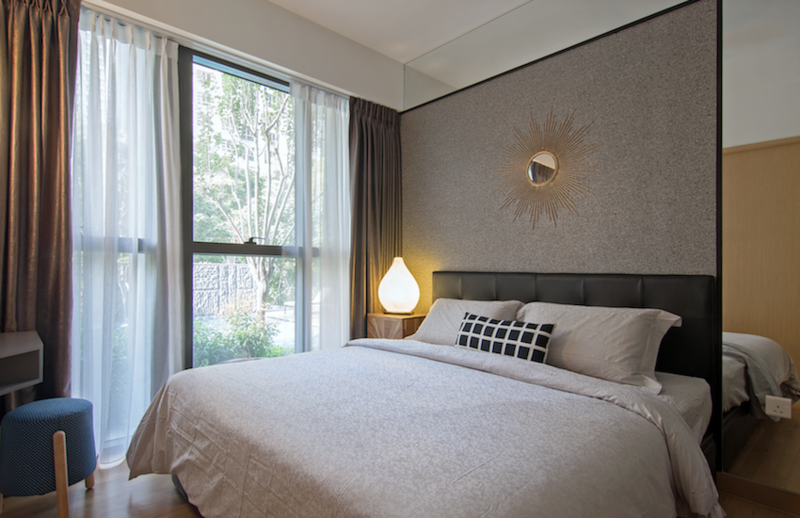 However, Stanley Tham, partner at KNQ Associates, offers this advice: Embrace it and play up the small space. 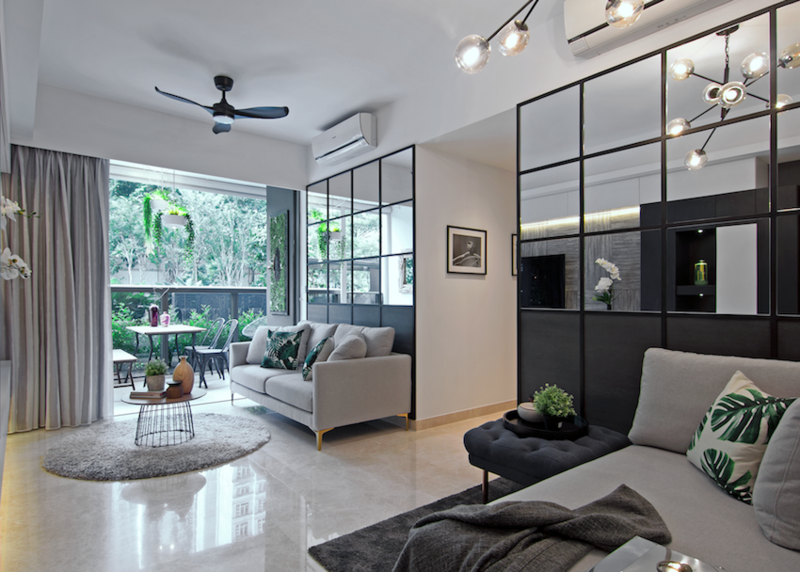 The owners of this condominium unit had initially wanted to rent it out but decided to make it their home instead, after Stanley managed to convince them that he could turn it into a very liveable space. "Tiny spaces can exude comfort and cosiness, so why not play on that?" says Stanley. 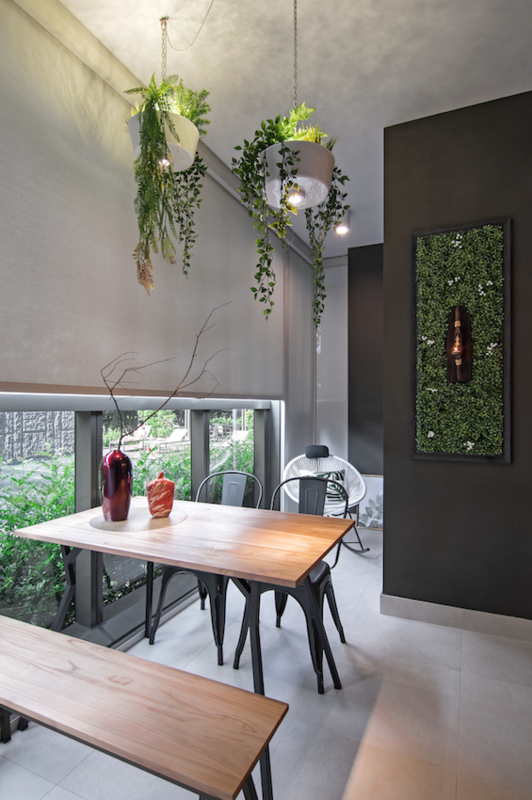 "While this unit may be small, its balcony looks out to some plants and greenery, and we could use that to our advantage by bringing in elements of the 'botanical' surrounds indoors." 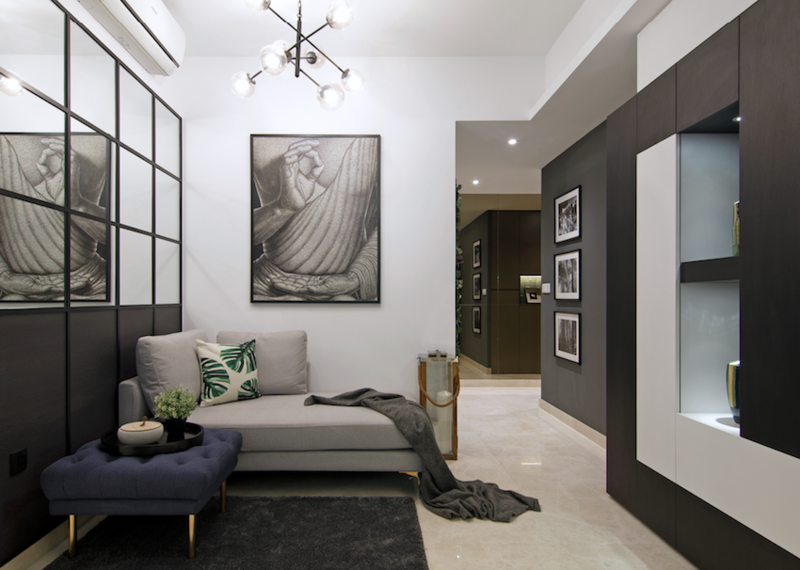 Grey may not be everyone's preferred colour in a small space, but in another bold step, Stanley chose it as the main hue for the home. "It doesn't always have to be white," he says. "Grey makes a great canvas and can help 'harmonise' the interior when combined with other shades such as green and brown." Mirrors in the living room reflect the view outside - another design feature that serves to bring the outdoors into the home. 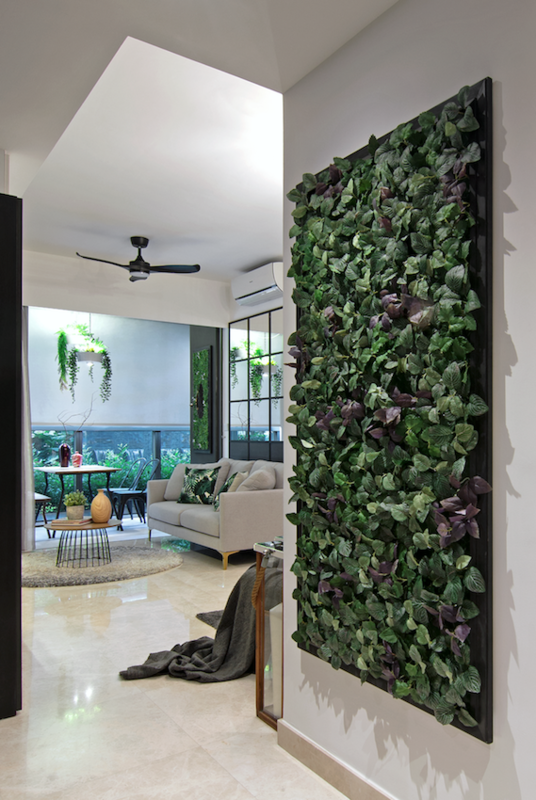 "Cushions with fern motifs are used to reflect the green surrounds, and customised frames with artificial leaves embedded within add touches of green on the walls of the interior." When the remote-controlled blinds are fully drawn open, the living room blends seamlessly with the patio dining area, creating a harmonious visual flow from inside to outside. With the dining area out in the patio, space is "freed up" in the living room to accommodate two sections: the main living area and a lounge space. 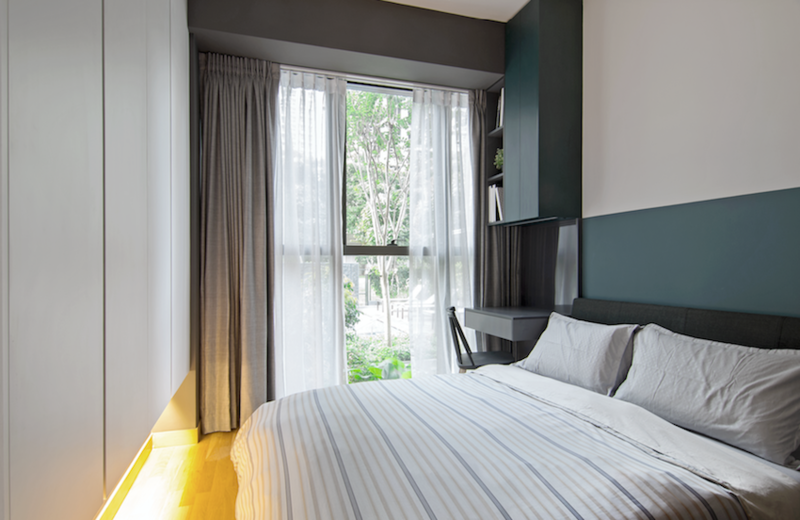 In a break from the greys and wooden tones, the master bedroom sports a botanical-green headboard and cabinet. A cabinet in one of the bedrooms is specially customised, with slots at the side. Working with a small space can yield unexpected creative results, as Stanley has shown. He says: "It's all about 'stealing' space from the limited spaces and bringing out the cosiness factor of a small, intimate place." This article was first published in Home and Decor.